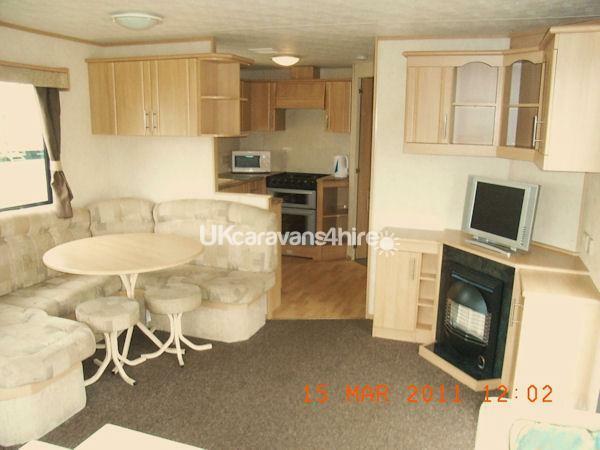 This caravan is an ABI Sunrise 3 bedrooms. The spacious and comfortable Lounge is complimented with a LCD TV with free view and DVD player. 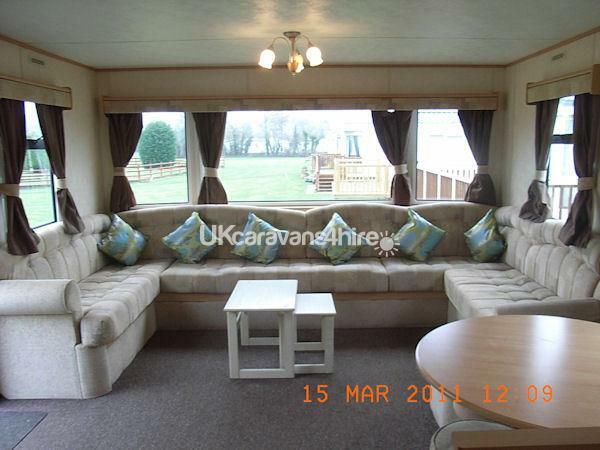 The caravan is wide and spacious, with plenty of room for the children to play. There is a veranda and wheelchair access. We are situated in a quiet area of Kiln Park, but within 5 minutes from all the amenities. There is a fully fitted kitchen, with a fridge, microwave, and cooker. There is ample cupboard space, and a full inventory of utensils. There is a separate dining area just off the kitchen. The caravan accommodates a maximum of Six people, with one double and two twin bedrooms. Duvets and pillows are provided, but please bring duvet covers, sheets, pillowcases, towels and tea towels. There is heating in the bedrooms and shower room, as well as the gas fire in the lounge. The caravan has a private shower room with a full size shower, WC and hand basin. Gas and electricity are supplied, but Entertainment Passes must be purchased from Kiln Park at the reception desk. This is a non smoking caravan, and unfortunately we cannot accommodate pets.